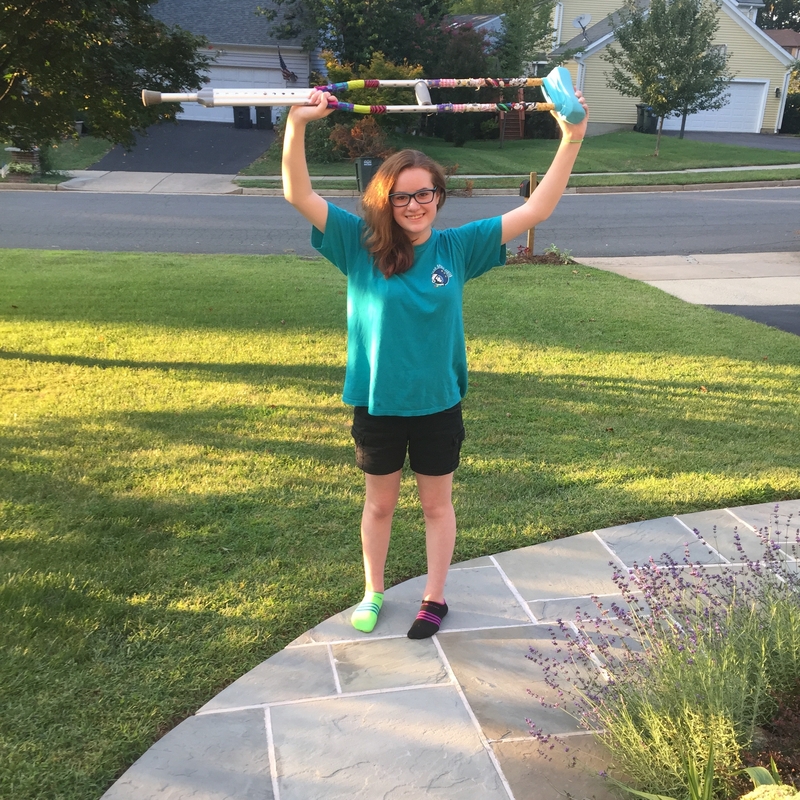 My 13 ­year-­old daughter first met Dr. Wolff when our physical therapists, who concerned about our daughter’s lack of progress following hip arthroscopy with a pediatric orthopedic surgeon, told us to seek Dr. Wolff’s opinion. After spending a long time quietly going over all of the scans and info we had, Dr. Wolff was very reassuring. He offered that her progress was normal for that procedure, and that, despite the failure of her first surgery to fully return her hip to normal function, he knew what was most likely causing her disabling hip pain and that it could likely be repaired. For more than a year prior to her first surgery, my daughter had severe hip pain from a sports-­related fall that happened when she was 11. She was unable to walk or put weight on her hip, and often felt her hip popping or catching. Though everyone who saw her suspected it was a labral tear during office exams, no one could find the tear on a scan, so it was misdiagnosed as many other problems. We went to no less than 15 orthopedic surgeons before it was over — ­­military, civilian, pediatric — ­­from Tampa to Boston and even some in Europe where we had been stationed when she was hurt. I am not kidding; ­­we have seen them all! Over the course of the next ten months, we saw Dr. Wolff several more times before finally scheduling surgery with him. Our daughter’s fall was unusual, and so were her severe symptoms and pain. Other surgeons were baffled, and could recommend nothing more to help. Dr. Wolff doggedly and methodically ruled out other possible problems as he confirmed his suspicions. He knows everything about medical services in the area that relate to his care, and is very particular about to whom he refers his patients. When he recommended an MRI, he didn’t just give us a prescription, he told us which radiologist’s office to go to, because that one had the best machine for seeing the type of injury he suspected. They were the first to positively identify the problem in a scan, after over 18 months of searching, 5 previous MRIs and an MRA. When we needed a hip CT, he told us the pediatric hospital in the area which had the lowest radiation dose in their machine. When my daughter was referred for physical therapy, the therapist he recommended was incredible at building up her strength without hurting her hip one bit. Even in choosing how to administer a diagnostic hip injection, with or without a single drop of contrast dye, we saw how careful and knowledgeable Dr. Wolff was. Any question we asked, he gave us an answer backed up by research (sometimes his own). Above all, we trusted that Dr. Wolff would not, could not, do anything to hurt our child or make the problem worse. When FAI surgery was recommended, we went to Boston Children’s to get a second opinion. The surgeon we saw there agreed that FAI surgery was warranted, but told us that we did not need to come to Boston for treatment. He told us that we already had found the best surgeon to treat our daughter’s hip injury, and it was Dr. Andrew Wolff. We scheduled surgery at Harborside Surgery Center, which was wonderful, like all of the other professionals Dr. Wolff sent us to. Dr. Wolff, not surprisingly, had very specific, research­-based rest, exercise, physical therapy and pain medication regimens to follow to ensure the very best outcome of the surgery. 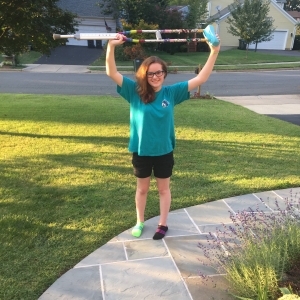 Four weeks after surgery, my daughter took her first steps without crutches, in over two years. Unbelievable!! So many times, we had wondered if we would ever see her walk again without pain, dance, enjoy the outdoors, or run freely. Now, at four months after her surgery, she is doing all of those things and more. Congratulations to Dr. Wolff and his team for, in our opinion, the biggest win ever. We will never stop being thankful for what he did for our family, and, especially, for our daughter.